﻿ Capabilities | Nebraska Machine Products, Inc.
Our large variety of equipment and services allow us to provide our customers with a one stop shop experience. We produce parts from a large variety of materials including aluminum, brass, plastic, carbon steel, stainless steel and the super alloys. 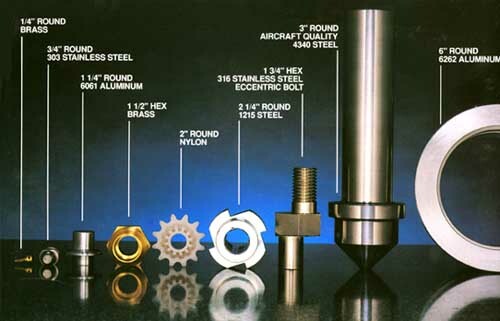 We can provide services such as a full secondary operations, center-less grinding, broaching, honing and welding as well as plating and other finishes. We are also capable of machining castings and forgings. Our customers are in a wide range of industries including, agriculture, automotive, medical, military and hydraulics for the oil and gas pipe line industries. Experience and state of the art equipment make us qualified to produce whatever our customers might need. Your requirements are our concern. “Try us for your satisfaction”.